← I didn’t predict that! Thanks to the internet and my sister-in-law’s Ancestry account I’ve learnt a lot more about my family history than I could have known if I had to rely on family memory. But still my knowledge is merely a collection of fragments from which it’s impossible to know what individual people were really like, how they responded to the world around them or even how they spent their days. 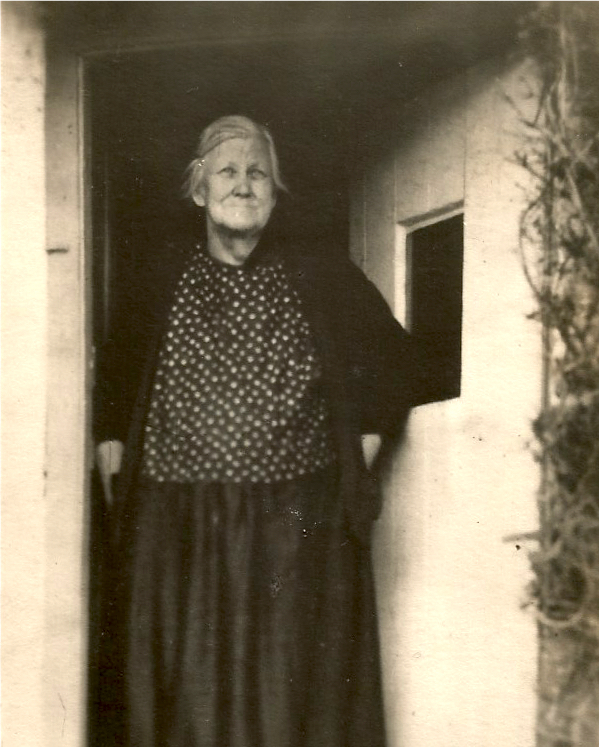 Lately I’ve been focusing on my father’s maternal grandmother, Elizabeth Ann. She is the GtGranny that I have most information about, from family anecdotes and public records. Elizabeth Ann is also the only great grandmother that I have any photographs of and I’m familiar with the village she lived in for nearly fifty years. It’s not much, but wondering what it was like to live her life has captured my imagination. I like researching information and trying to imagine a life that began in 1864 and ended in 1942 requires a lot of research. Elizabeth Ann lived all her 78 years in rural Dorset. The daughter of a shepherd, she went into service in her teens and later married an agricultural labourer who eventually became a skilled and valued woodsman on a small country estate. GtGranny Elizabeth Ann bore ten children, eight of whom lived to celebrate their parents’ golden wedding anniversary on 2 May 1938. Glad you enjoyed the photo. I feel very lucky to have the few photos I’ve got and to have been able to fill in some of the gaps when I got to know my aunts better after my Dad died. Sad that family stuff kept us apart for so long, but glad that we reconnected eventually. I also regret not paying more attention to the elders that I did know when I was young, but I do have a couple of articles my maternal grandmother wrote about her childhood (I don’t know if they were ever published) and some brief biographical notes one of her sisters started. Also a couple of my my paternal grandfather’s books include biographical information. Like you, it’s the every day details that I find fascinating whether they are specific to my family or other people’s. My helper’s grandmother is now a very sprightly 101 and a great source of information about her life as a child and as a teenager in service.